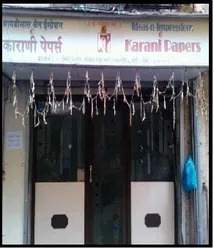 Established in the year 1992, Karani Papers is recognized amongst the prominent exporters, importers, and manufacturers of a vast range of Industrial Papers. Our range comprises Release Paper, Coated Paper, Sticker Paper, Label Paper and Printing Paper. These are procured from well-known vendors across the globe and are known for attractive designs, vibrant colors, and excellent finish. We have a well-equipped warehouse and packaging unit that helps us in the storing our range carefully. This also helps us in the easy retrieval of the products thus assuring timely delivery of the products. Owing to our efforts towards offering quality range and timely deliveries, we have been able to garner a huge clientele across the world. 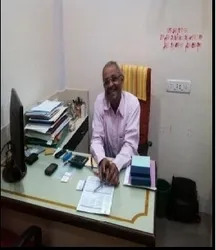 We have carved a niche for ourselves in the industry under the able guidance of our Mentor, Mr. Laxmi Chand. He acquires a vast industry experience and has enabled us to gain high reputation in the market and huge client base across the globe. Our range of Industrial Papers is in great demand in the global market. Knowing the fact that team is an indispensable part of an organization thus, we have employed experienced and qualified professionals, who enable us to carry out all our business operations with proficiency. Our professionals have years of experience and thorough knowledge in their respective domain that helps in completing the task assigned to them with ease. They work with a clear objective of taking our organization to new heights of success through manufacturing optimum range of products.